Oh, omniscient narrator, it’s time you come to the light. We all enjoy movies with the soothing voice of grandfatherly narrators like Morgan Freeman, James Earl Jones, or Peter Falk. When we write we avoid using a narrator, and write as if we are the main character. However, an omniscient narrator can do wonders for your story. Today we’ll tell you a little about omniscient narrators and 3rd person limited narrators. We’ll also tell you five of the wonderful things an omniscient narrator can do for your novel. 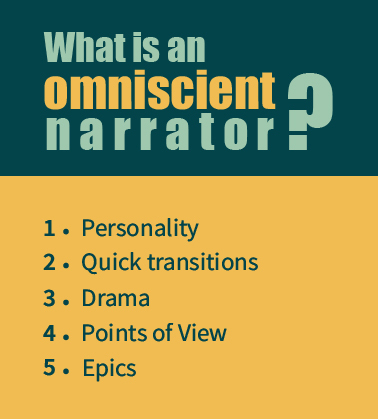 What is an Omniscient Narrator? Omniscient means all-knowing. So the definition of an omniscient narrator is a narrator that knows everything and everyone in the story. They have insight into what will happen and what has happened. This narrator has a good understanding of the story’s world as well. They can lead the readers through a wide variety of characters, points of view and scenes without it being unnatural. It is not to be mixed up with the third person limited narrator who sees life through the eyes of one of the characters. As such, third-person limited narrator knows only what one of the characters knows. Generally, the past hundred years has been the era of limited narrators, whereas in the 18th and 19th centuries the omniscient narrator was more popular and even heralded by greats like Gustave Flaubert. 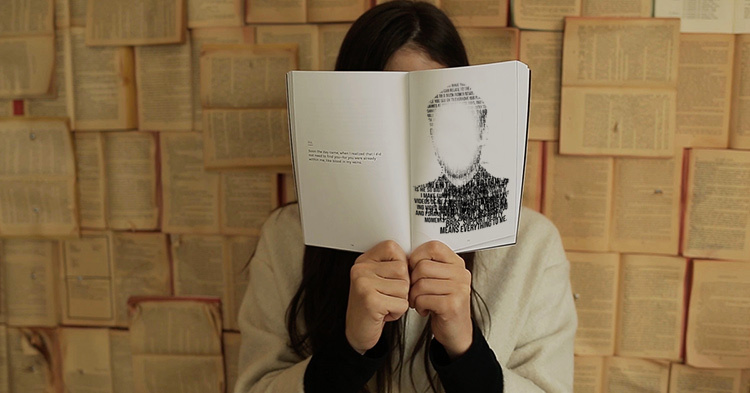 “One of the reasons behind that is that authors want readers to connect with the protagonist the most, and the omniscient narration can take away from the connection that they build with the protagonist,” says Henry Altman, a freelance editor at Britstudent. We know you want to get a better grasp of how these different points of view have been used in popular and famous books that you might have read. Here are some examples of omniscient narration books and limited third-person narration books. This sounds great, right? A great opportunity for vast world-building, foreshadowing and so on. But, writers are usually told not to use it because no one can be all-knowing. However, if you do it properly, it can be a seamless experience for you and your readers alike. Here are some reasons why third person omniscient can be a great opportunity for you and your new book. This is one little perk that you can take serious advantage of to make your novel more interesting. Your narrator can actually have a personality, which is highly unusual in the third person limited. Their personality will largely depend on the type of story you are telling, but even more so on the type of effect that you want to achieve. In epic novels, we usually see the third person omniscient as someone wise, often times a historian. The voice here would be serious and it would add to the overall story by reinforcing the nature of your book. The omniscient narrator’s tone of voice can also be satirical and funny so that some of the seriousness is diluted and humor is present in the narration with wry comments and satirical remarks. The omniscient approach gives you a unique opportunity to handle many moving parts quickly and without causing confusion. You don’t have to jump between points of view to create a good story. Omniscient narrators move seamlessly through the story and show it in a natural way. You can avoid many mistakes that third person limited makes. For example, this approach is notorious for confusing head-hopping and information dumping. The dialogue is also full of information that characters would probably never share in that way, especially if they already know the information. So, third-person omniscient can be really useful in making your novel tighter and more seamless in comparison to other types. “It’s a lot more fun reading when you have more information than your characters. For example, you can use this approach to create more drama. Let’s say your character is getting in a really bad situation without knowing it. Yet, your readers know. This creates tension and action even if the page is not loaded with it,” says Dave Gaskell, a writer at NextCoursework and Australia2Write. While you can still get to know many different characters in other points of view, third-person omniscient gives you an opportunity to connect with more of them. You get to understand the personal drive behind each action and the reason why different characters are doing different things. They can help you show off many character arc’s and create a better character journey in your story. If you’re wondering when to use an omniscient narrator, it’s with epics. Can you imagine some of the greats of epic fantasy without third person omniscient? For example, Lord of the Rings. If you see that your story is starting to turn into an epic adventure, shifting to the third person omniscient is a good idea. This type of approach is really popular in epic fantasies, sci-fi adventures, because of all the possibilities. These novels usually have many characters and plenty of mystery that your readers have to be aware of, so they are usually very well paired with third person omniscient. Martha Jameson is a writer at PhDKingdom. Before she chose writing as her calling, she was a web designer. Martha’s main goals are to share her experience, motivation, and knowledge with her readers.